Animated Louie lived at home with his father, Andy (a grumpy war veteran), mother, Ora, and little brother, Tommy. He also has other brothers and sisters,but they don't appear every time. Each episode began with a live-action appearance of Louie Anderson introducing the show and setting up the plot. The show focused mostly on the funny events of life growing up. 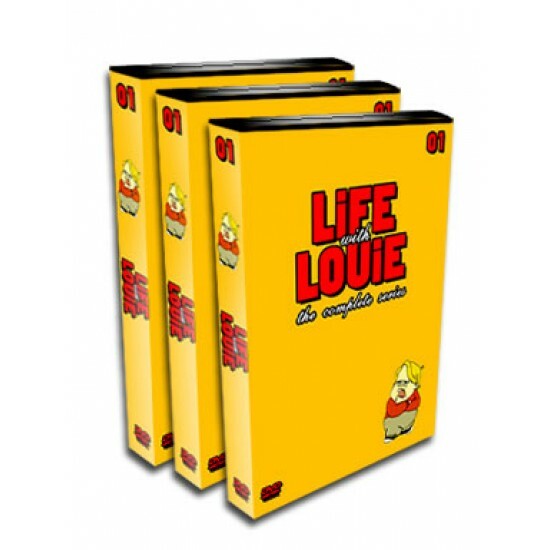 Life with Louie - The Animated TV series collection also includes custom artwork and episode guides so you can find your favorite episode at anytime. 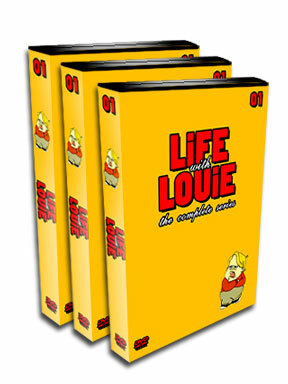 Life with Louie DVD collection are formatted region free so they will play on any DVD player, DVD-ROM X-Box or PS2 Worldwide. All DVDs are presented in full screen. Exactly the same as it was shown in American television.